Formulated to rinse and neutralise alkaline cleaning solutions and restore correct pH levels suitable for wool carpets, cotton and natural fibres. Formulated to rinse and neutralise alkalie cleaning solutions and restore correct pH levels suitable for wool carpets, cotton and natural fibres. 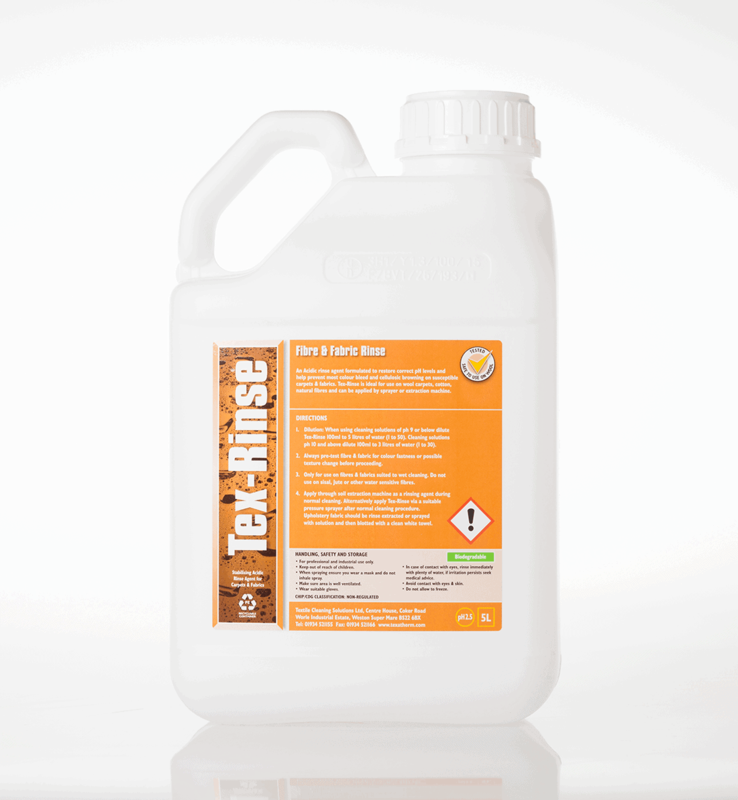 An acidic rinse agent formulated to restore correct pH levels and help prevent most colour bleed and cellulosic browning on susceptible carpets and fabrics. 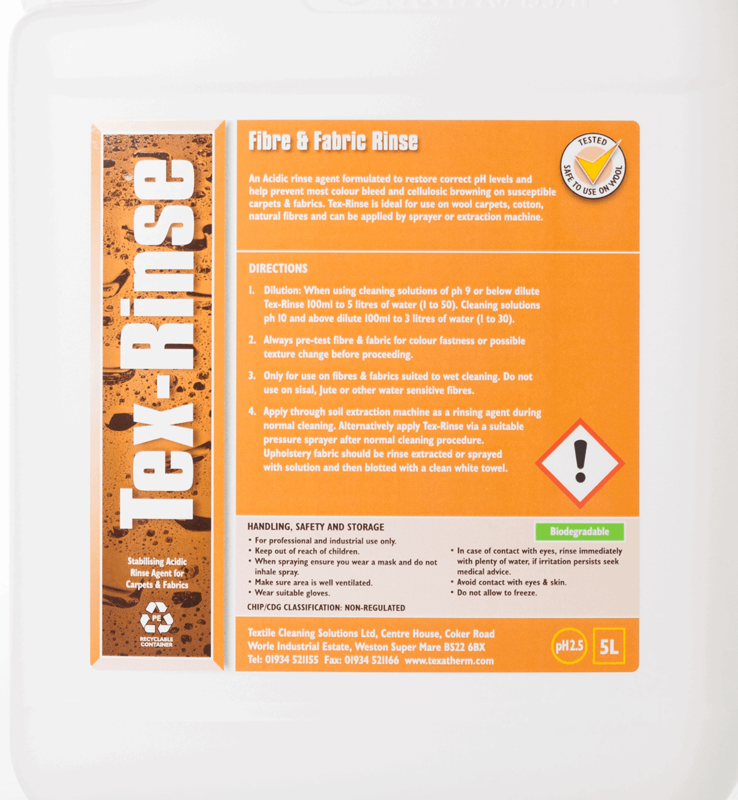 Tex-Rinse is ideal for use on wool carpets, cotton, natural fibres and can be applied by sprayer or extraction machine.